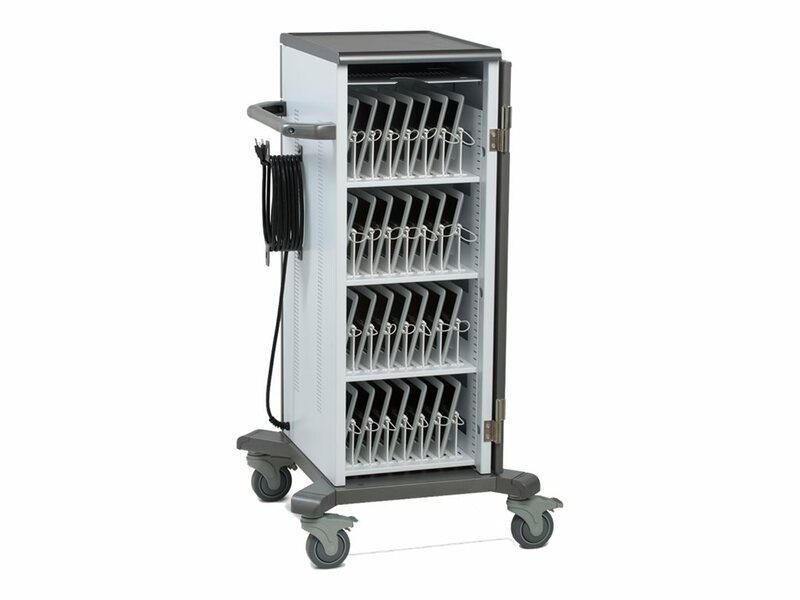 The innovative YES Cart for Tablets fits up to 40 tablet devices of all shapes and sizes. 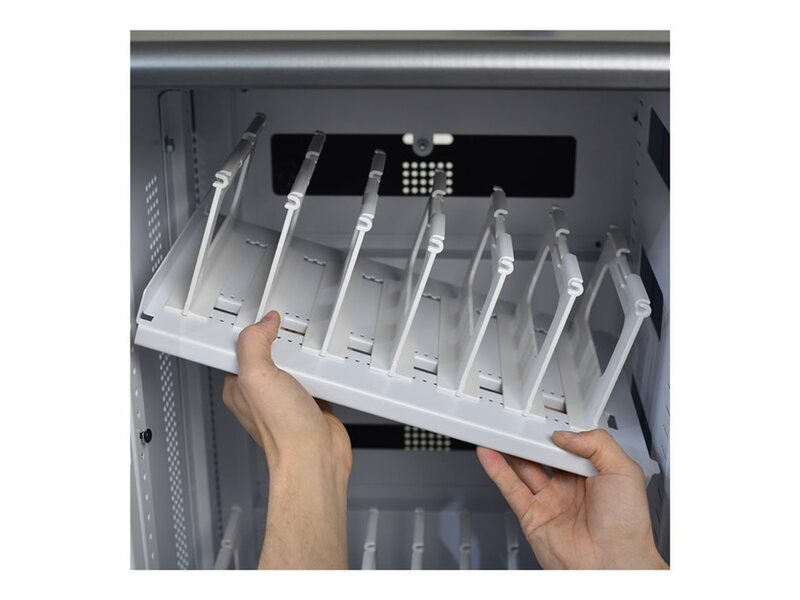 The cart's shelves and bays adjust to fit current and future generations of tablet devices. Position shelves at any height in 2/3" increments (in landscape or portrait orientation), and adjust bays dividers at any width in 1/3" increments. 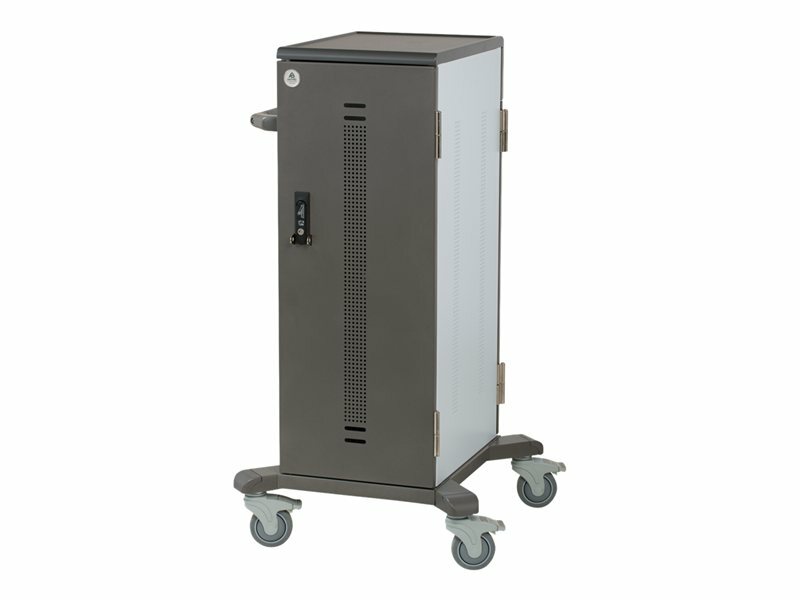 The cart ships configured for 32 units with bays 1.25" wide x 10.5" deep x 8" high, and comes with additional dividers to accommodate 40 devices total. The front User Area even includes a shelf for your laptop! 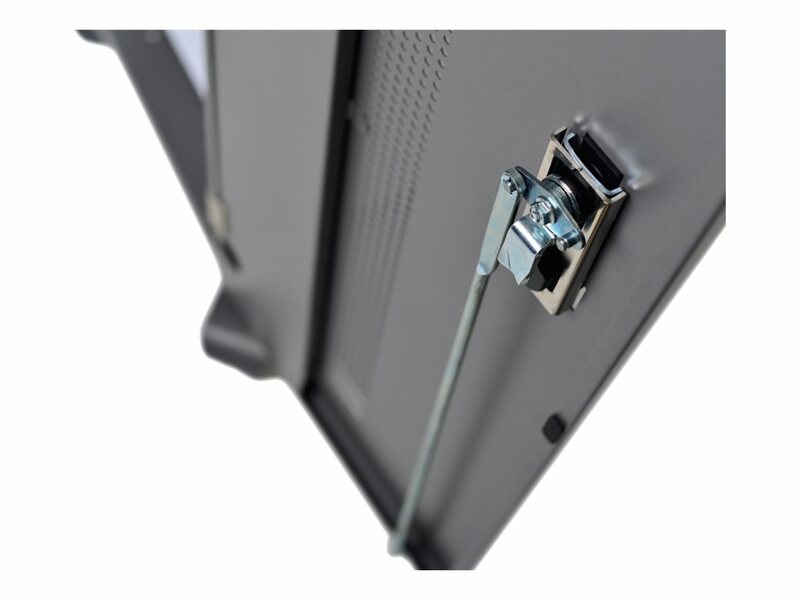 In the back, the locking IT Area keeps cables and power adapters protected and secure. The 42 outlets in the IT area power all your tablets plus extras for your laptop, and the center divider panel holds cable clips that group cords into bundles, so the entire area stays organized. 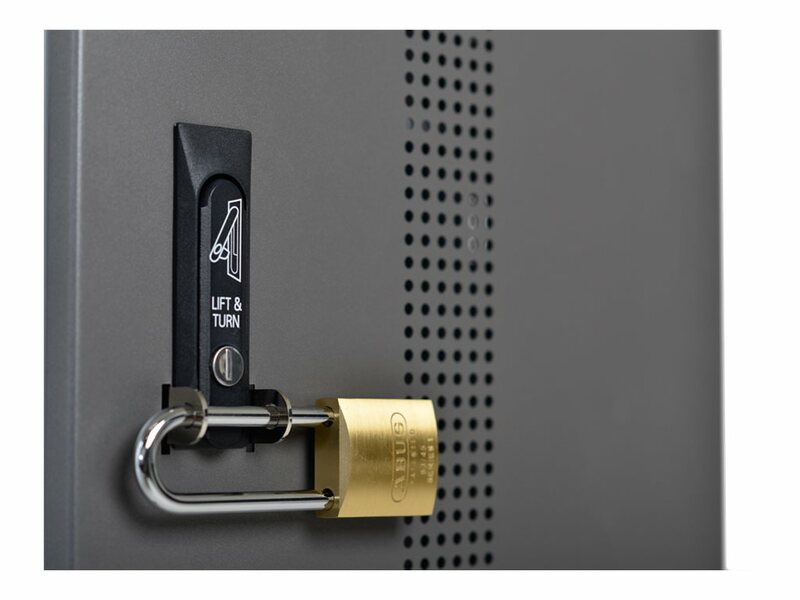 The front user area and back IT Area have separate keyed locks for security, and for extra peace of mind, position a padlock to block access to the front and back latches. Above the IT Area are three external outlets plus the cart's on/off switch and an indicator light. The cart is small (just 24.5"wide x 23.75" deep x 46" high) and lightweight (156 lbs), so it's easy to maneuver down narrow aisles and fit in cramped closets. The YES Cart for Tablets is made in the USA, ships assembled, is RoHS certified, and is listed to UL 60950-1 and CSA 22.2-60950.